Date: Wednesday 20th March, 2019. All newly and duly admitted students are advised to ensure that they complete all registration formalities including payment of appropriate charges. Furthermore, freshers are expected to pay N4,000 for their matriculation gown to their faculty officer. All freshers should be seated by 8:00 am before the arrival of the procession of Vice Chancellor. 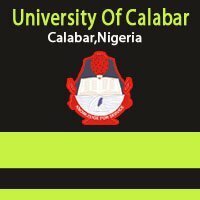 UNICAL Matriculation Ceremony – Procedure for Hiring of Academic Gowns. 1. Each academic gown shall be hired at the rate of N4,000.00 payable to the respective faculty officers (N1,000.00 is refundable). 2. Payment should be made to the faculty office who upon receipt of the amount shall retain the Identity Cards of the students and issue a receipt of payment. 3. The faculty officer shall submit the amount receipt (N3,000.00 per gown) to a designated officer of the Students Affairs Division who will issue a receipt to the faculty officer who will in turn present same to the officer in-charge and collect the appropriate number of gowns with effect from Monday, 18th March, 2019. 4. The students shall return the gown to the faculty officer not later than 4:00pm on Tuesday, 26th March, 2019 and collect the refundable deposit of N1,000.00 and identity card. 6. A penalty of N1,000.00 per day shall be paid by any student who fails to refund the gown as stipulated in 4 above. 7. Faculty Officers who return the gown after 29th March, 2019 shall do so with the corresponding fine and shall be held responsible for any loss or damage by a surcharge to the value of each gown not returned or damaged. 8. All freshmen are to note that Matriculation is compulsory and should therefore present themselves for the ceremony.